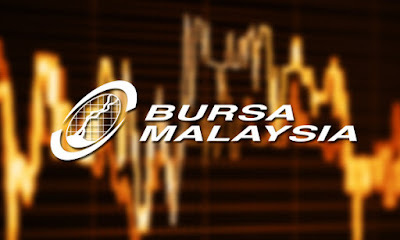 Bursa Malaysia is relied upon to proceed with its upward force into one week from now, determined by an enhanced ringgit and rising unrefined petroleum costs, said Affin Hwang Investment Bank Vice-President and Retail Research Head Datuk Dr Nazri Khan Adam Khan. He said the potential for jolt measures by outside Central Banks and the nonappearance of any US Federal Reserve loan fee climb would likewise impact the neighborhood bourse one week from now. 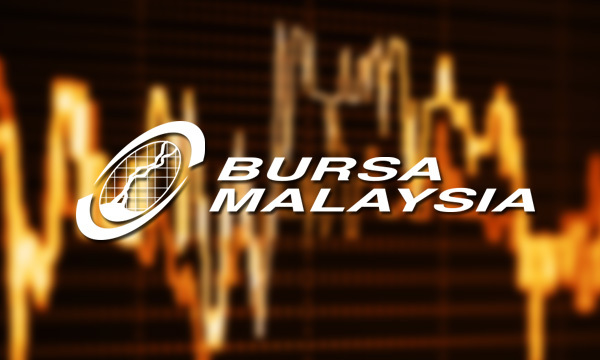 "In spite of a major drop on the China's Shanghai Stock Market and 'England Exit European Union' (BREXIT) fears, we expect the benchmark FTSE Bursa Malaysia KLCI (FBM KLCI) to stay relentless and pattern higher. "With the fundamental pattern of a fortifying ringgit and unrefined petroleum costs, we sense a decent purchase venture procedure now, particularly on developing exchanging enthusiasm for estate and oil and gas stocks," he told Bernama. The ringgit shut higher at 4.2010/2070 against the US dollar on Friday, from the 4.2160/2230 enlisted on Thursday. On a week after week premise, the FBM KLCI completed 11.44 focuses lower at 1,663.44, for the most part weighed on by the development of unrefined petroleum costs. The file turned around its misfortunes recorded on Wednesday and Thursday in consummation the week imperceptibly higher, as oil costs recuperated from an early shortcoming with business sectors looking towards a meeting of the real makers one month from now. The key Brent Crude settled at US$35.29 a barrel, up 2.6 for each penny, while the US West Texas Intermediate was 2.8 for every penny higher at US$33.05. It was an unpredictable week at oil costs as remarks from different Organization of the Petroleum Exporting Countries (OPEC) authorities fuelled market theory that oil makers would not regard the consent to stop yield as proposed by Saudi Arabia and Russia. Then, the FBM Emas Index fell 81.54 focuses to 11,540.64, the FBMT100 Index deteriorated 74.52 focuses to 11,245.43 and the FBM Emas Shariah Index dropped 152.29 focuses to 12,310.18. The FBM 70 surrendered 74.41 focuses for 12,776.12, and the FBM Ace facilitated 92.42 focuses to 5,690.6. On a sectoral premise, the Plantation Index diminished 87.49 focuses to 7,837.09 and the Industrial Index lost 64.14 focuses to 3,249.47.But, the Finance Index rose 42.05 focuses to 14,028.51. Week by week turnover was barely higher at 8.39 billion units worth RM8.76 billion from 8.36 billion units worth RM8.76 billion a week ago. Primary business sector volume slipped to 5.39 billion shares esteemed at 8.25 billion, from 5.82 billion shares esteemed at 8.28 billion. Warrants turnover shrank to 866.76 million units worth RM180.39 million, from 1.01 billion units worth RM190.01 million. The ACE business sector surged to 2.12 billion shares worth RM302.42 million from 1.52 billion shares worth RM296.45 million.